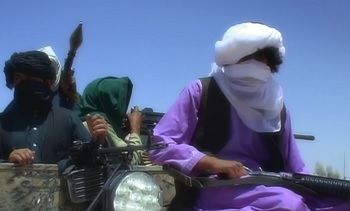 The Taliban militant group says it will turn Afghanistan into a “graveyard” for the United States following Washington’s announcement that it will continue the occupation of the Asian country. “If America doesn’t withdraw its troops from Afghanistan, soon Afghanistan will become another graveyard for this superpower in the 21st century,” Taliban spokesman Zabiullah Mujahid said in a statement issued on Tuesday. Mujahid also urged the US to think of an exit strategy “instead of continuing the war” on Afghanistan. The warning came hours after President Donald Trump backtracked on his promise to end the longest-running war in US history. In a televised speech before a military audience at Fort Myer on Monday, Trump outlined a new strategy for Afghanistan, rejecting what he called “arbitrary timetables” for the withdrawal of US troops. The US president further claimed that his “original instinct” had been to pull American forces out but that he had been dissuaded by considering the prospect of terrorist groups taking over a security vacuum. Although Trump did not provide details about the exact number of troops he might send, he hinted that he had embraced the Pentagon’s proposal to deploy another 4,000 more forces to Afghanistan. There are already 8,400 American boots on the ground there. The US forces would “fight to win” by preventing the Taliban from taking over Afghanistan, and by attacking enemies, “crushing” the al-Qaeda militant group, and “obliterating” the Daesh terrorist outfit there, he said. “Our aim remains to ensure that Afghanistan never again becomes a safe haven for terrorists who would attack our own countries,” he said. Afghanistan has been torn by decades of a Taliban-led militancy and the 2001 invasion of the US and its allies. The terrorist group of Daesh has also emerged there more recently.